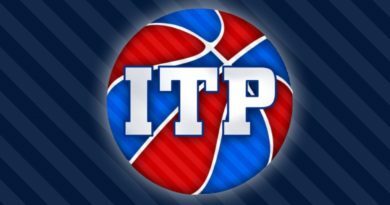 We’re getting closer to exhibition games which means the blog will continue to shift focus from football to basketball. Don’t worry, we will still cover football but KU is a top five basketball team this year and well, there’s just more to talk about with more games. Anyways, there’s a couple of great articles being passed around this week and it just made sense to do another basketball notebook. We’ll also answer some Twitter questions. CBS picked their top 100 players to watch for in the 2013-14 season today. Kansas has three: No. 1 Andrew Wiggins, No. 28 Joel Embiid and No. 31 Wayne Selden. The Big 12 has the top two players (Wiggins and Marcus Smart). Mike DeCourcy spent some time watching the Jayhawks last week and wrote an article on the team, focusing on Wiggins. “I’m just trying to find my game,” Wiggins told DeCourcy. “Coming from high school to college doesn’t seem like that big a jump, but it’s a big jump. I’m just trying to get my mind right, see what kind of player I am as a college player. Being a high school player and a college player are two totally different things. “I just want to be the best I can be. I don’t think being compared to LeBron is fair, people like that, of that caliber – they’re the best in the world, and I haven’t played one college game yet. So I think that’s unfair to really compare me to people at that high a level right now. Piggybacking off the last article, I had a chance to ask both LeBron James and Mario Chalmers about Wiggins last Friday at the Sprint Center. If you haven’t checked out that blog yet, I strongly suggest it. Josh Selby instagrammed a picture of him heading to China. I wouldn’t rule him out for a return to the NBA in the future. Kansas ranges from No. 3 to No. 9 (Gottlieb with the No. 9 ranking). Gottlieb was also the only analyst to not pick Kentucky as his No. 1 and has them picked at No. 7. Do you agree with their rankings? Luke Winn wrote the cover story to last week’s SI cover story. In addition to that story, he also provided a side-story with 22 tidbits about Wiggins, Wilt and Danny. It is a good read. Grantland published this strange piece on Wiggins. I’m not sure I understand the direction of it, though. Right now? I’ll take McLemore. Wiggins obviously has more upside than McLemore but I’ll take the player who has proven he can hit big shots in college and is a professional athlete. @RockChalkBlog do you think Kansas can get a win over duke this early in the season? Yes. Duke is pretty experienced, just like Kansas. They only five upperclassmen on their roster (one junior, two seniors, two graduates). Their strength is in their guard play. It’ll be crucial for Naadir Tharpe to limit turnovers and distribute the ball to his teammates if Kansas wants to win. Duke will most likely be favored but I imagine Bill Self will have the Jayhawks ready to go. @RockChalkBlog Realistically, how many Big 12 games does KU lose this year? I think you see about three or four non-conference losses and two or three Big 12 losses. Thirty wins is kind of the standard for Bill Self and KU basketball so I expect the Jayhawks to reach that mark in postseason play but I wouldn’t be surprised if they ended up with seven or eight losses. KU’s schedule is extremely difficult in non-conference. KU may lose multiple games at home this year. That doesn’t mean they won’t be a great team in March, though. Well…the short answer is really tough. Kansas has a chance to play ten teams in non-conference play alone that advanced to postseason play in the 2012-2013 basketball season. Add in two games with Oklahoma State and Kansas is going to be extremely battle tested when it comes time to play in the NCAA tournament. Like I said earlier, KU could legitimately lose seven or eight games this year. As Bill Self said at Late Night: be patient. Even if KU falters earlier in the year, it’ll all be for the best come NCAA tournament time. They could end up with a lower seed than year’s past but still advance to the Final Four. They will have an extremely high RPI so it is possible they’ll have a better seed than some teams with even less losses than the Jayhawks. For the first half of the season: Perry Ellis and Tarik Black. By the end of the year, we’ll probably see Joel Embiid getting starts based on his performance. @RockChalkBlog based on all of the hype placed on him, what is the furthest Wiggins and KU can make in the NCAAT w/o fan disappointment? I think fans are always disappointed if KU doesn’t make it to the Final Four. Wiggins doesn’t change that. Getting to the title game would seal Wiggins’ legacy at KU. Winning it makes him a legend, ala Mario Chalmers and Danny Manning. @RockChalkBlog How many PPG do you expect each player to score?? Good question and it is kinda hard to say. It really depends on how good the defense is. This team can be extremely potent on offense if they can get run fast breaks and you’ll really see players like Wiggins and Selden shine in transition. I’m thinking Andrew Wiggins gives Kansas about 14-15 points per game, Perry Ellis 12-13 PPG, Wayne Selden 12-14 PPG, Tarik Black 9-10 PPG, Joel Embiid 9-11 PPG, Naadir Tharpe 3-6 PPG, Frank Mason 2-8 PPG, Conner Frankamp 3-9 PPG, and the last guy in the rotation (whoever it may be from Andrew White to Brannen Greene or someone else) giving KU about 2-6 PPG. The ex-Fake Joe Dooley account, @DoctorNaismith, will continue to do a great job. My favorite as an up-and-comer is @TylurSilf, a fake Tyler Self account. For what it is worth, the creator of Fake Jeff Withey is still on Twitter. 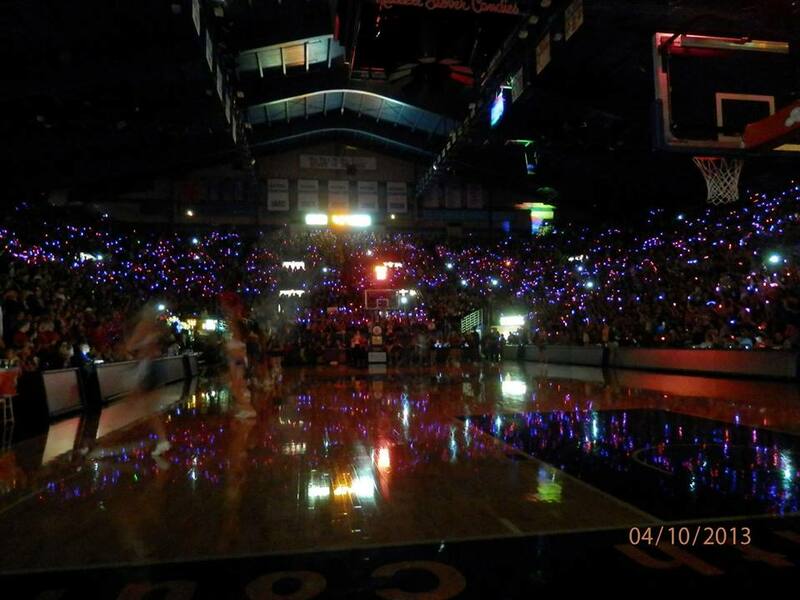 @RockChalkBlog Yeah…why aren’t @NaismithCourt and I at 1,000 followers yet? Good question. Follow both of them. While you’re at it, go follow all the Rock Chalk Blog writers. For some reason, I was thinking Black was overweight. That video clearly shows he is right about at the standard for a KU player in their senior year at his position.